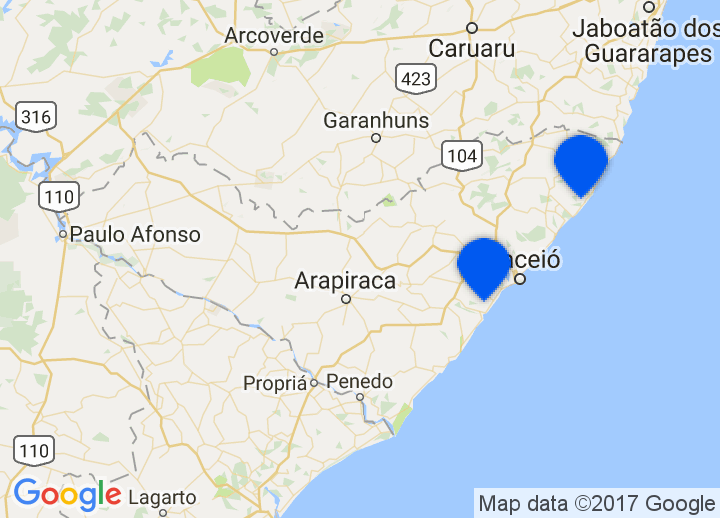 Choose from our selection of boutique Ceará hotels by clicking on the map on the right. This will highlight our selection of Ceará hotels. We are currently working on expanding our portfolio of accommodations in Alagoas, so be sure to check this page on a regular basis. We plan to cater to a wide variety of tastes and budgets, including romantic hotels, resorts, and bed & breakfasts.